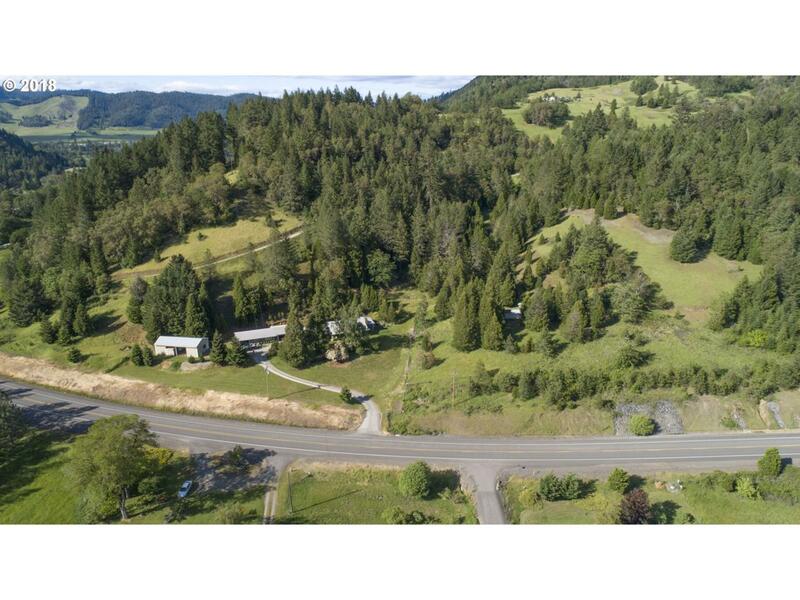 GREAT COUNTRY LIIVING on 12 plus acres with 1900 +/- sq ft home. 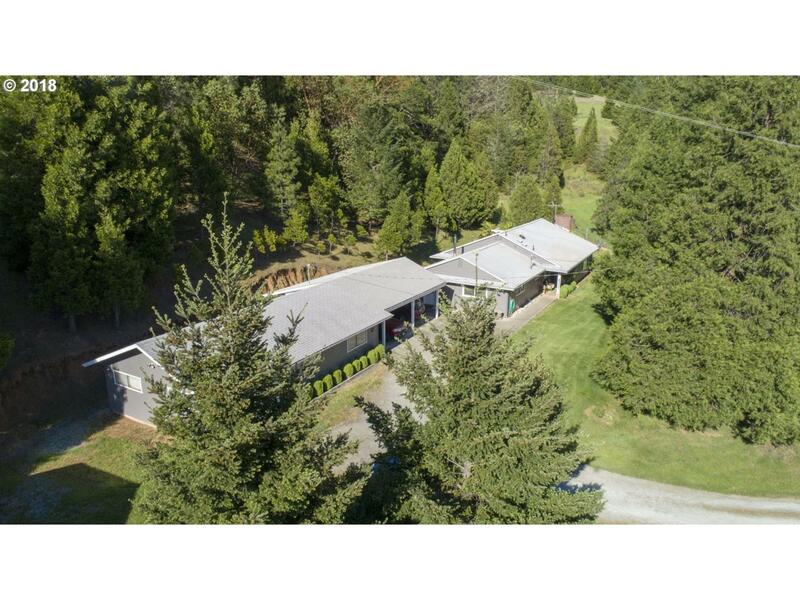 Shared well, finish detach heated shop, barn, koi pond, with great mountain views. 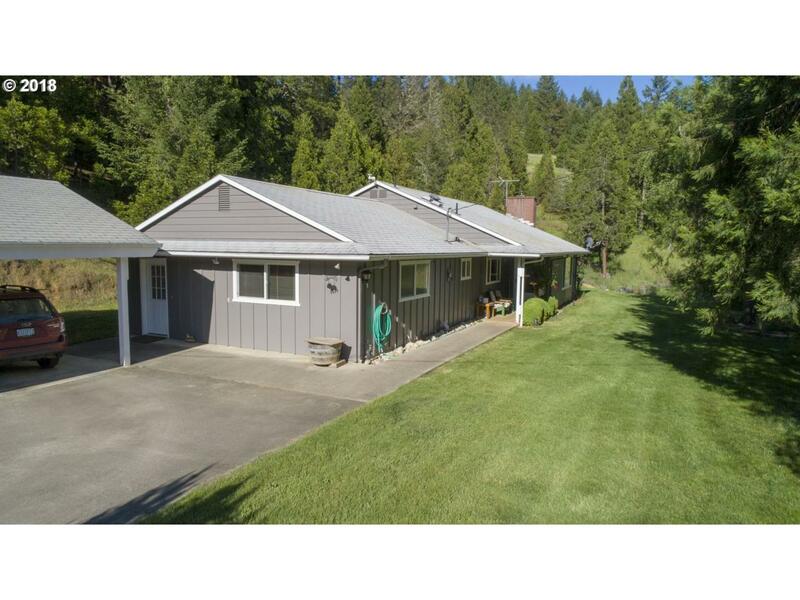 Heat pump, 2 thermostatic control pellet stove, large family room, 2 car carport with bonus storage rooms, 22X40 detach finished garage/shop and animal barn with extra storage.Zoned AW (agriculture and woodlot) Located in Days Creek-South Umpqua River area for plenty of wildlife and fishing.